NOTE: This is a rough guide and does not include all insect orders. The main focus is on insects common in gardens.  Common insects in each order are listed under the order. 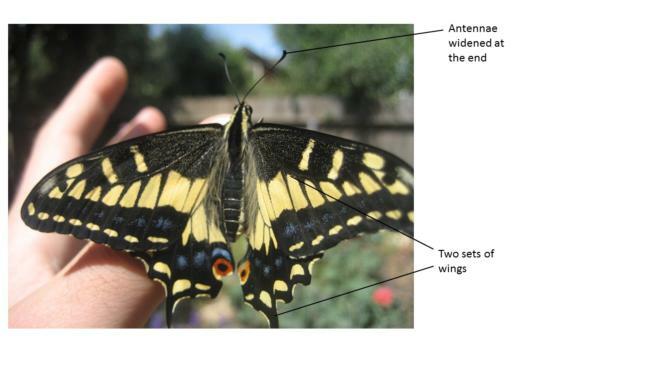 If you have an Android smartphone, this app can be helpful for identifying insect to order. Insect in the order Hymenoptera have 2 pairs of wings (4 wings total), except worker ants which have no wings. 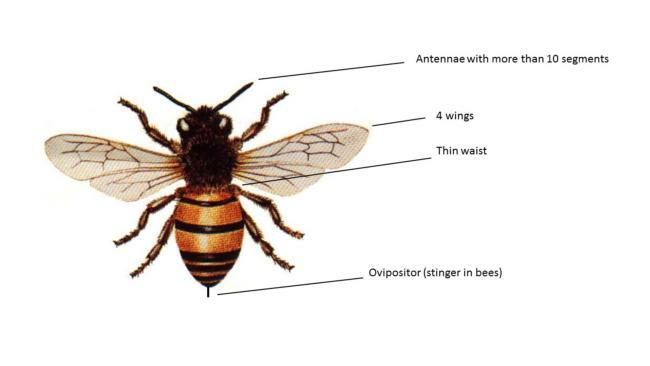 They have a thin waist connecting their thorax and the lower abdomen. 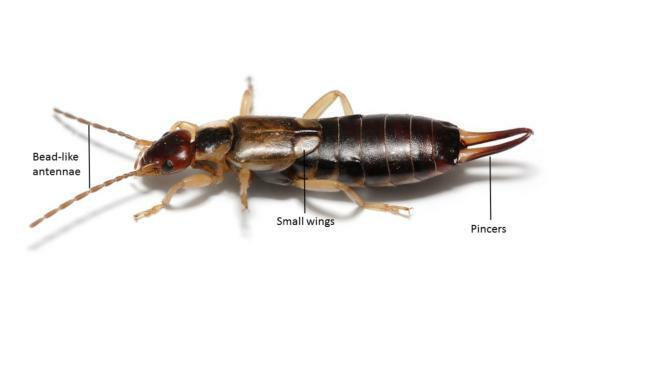 Females have prominent ovipositor, mostly this is used for laying eggs but is modified in some groups to be a stinger. 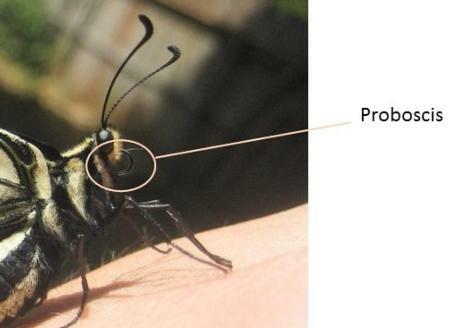 Their antennae are usually longer than their head and have greater than 10 segments. 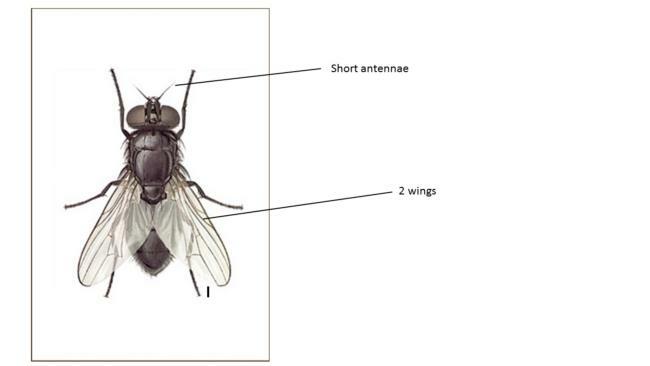 Insects in the order Diptera have only one pair of wings (2 wings total). Their antennae are generally shorter than their head. Insects in the order Neuroptera have long, thin, cylindrical bodies. Their two pairs of wings are generally the same size. When at rest, the wings are either held above the body in a roof-like formation. 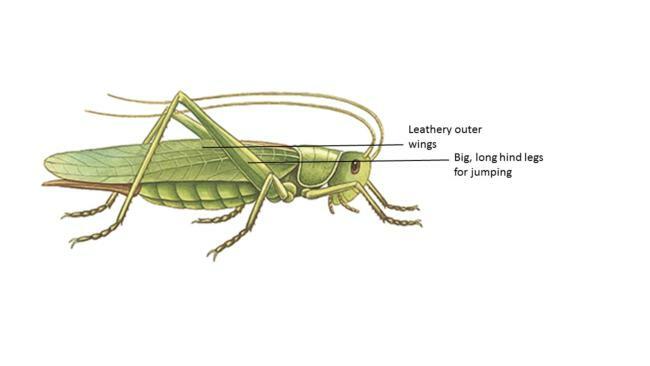 They have large, compound eyes and chewing mouthparts. 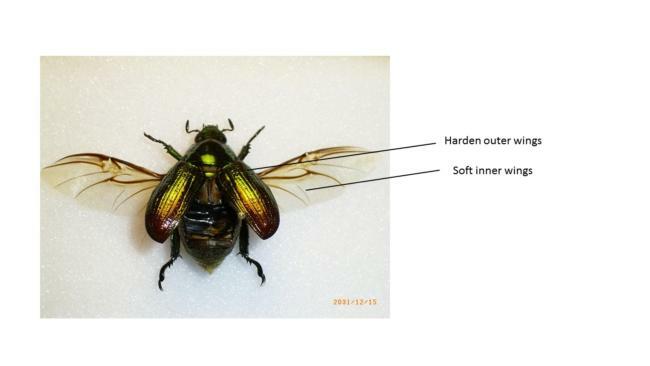 All insects in the order Coleoptera have hard outer wings. There are many, varied insects in the order Hempitera. 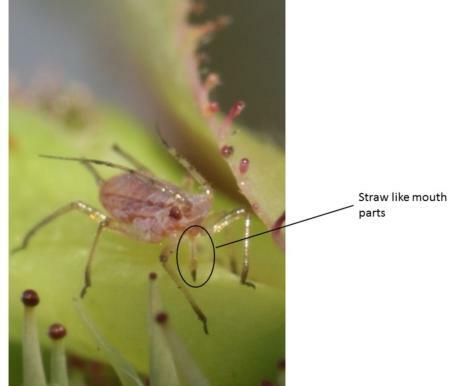 They have one very useful defining characteristic: their mouthparts are shaped like a straw. 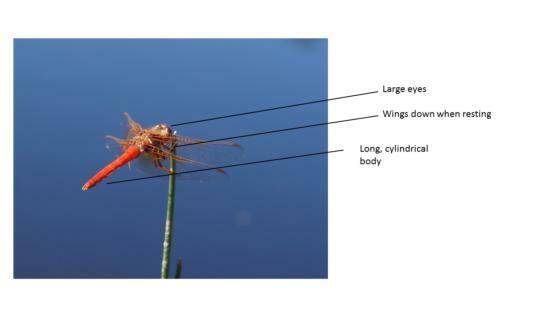 Odonata is divided into two sub-orders. One is the dragonflies and the other is the damsel flies. Both have long, thin bodies and four wings. Dragonflies keep their wings extended always, even when they are resting. 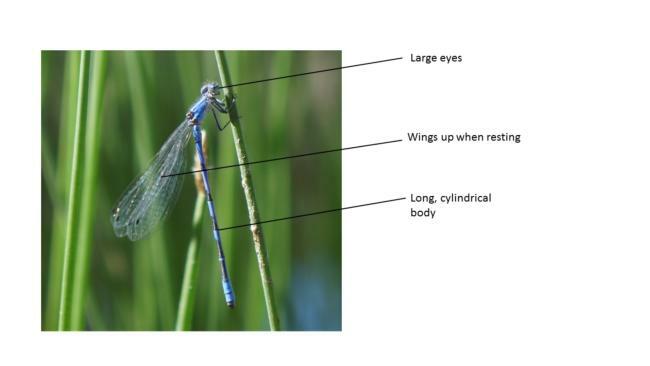 Damsel flies are not as robust looking as dragonflies and they fold their wings over their back when they aren't flying. They have 4 wings, covered with scales. Their mouthparts are shaped like a long straw and called a proboscis; it is kept curled up. Larvae are commonly known as caterpillars. 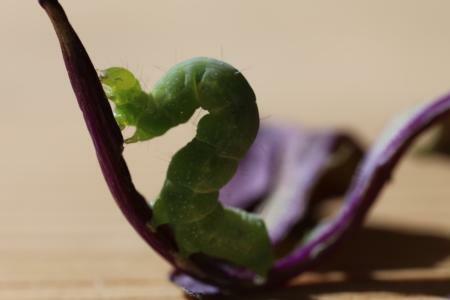 Caterpillars are soft bodied and can appear to have more than six legs because the have extra appendages called prolegs. 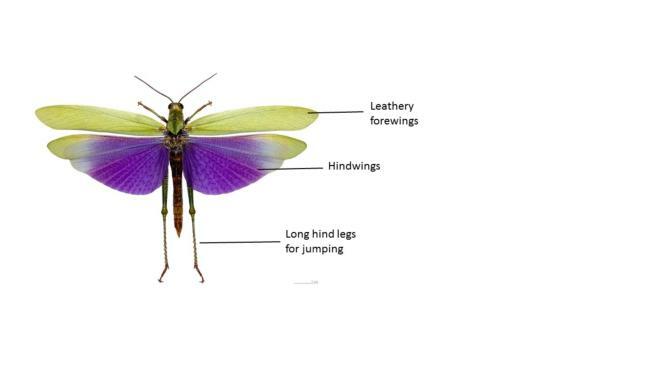 These insects have long hind legs that are made for jumping. One set of wings has become hardened and somewhat leathery. 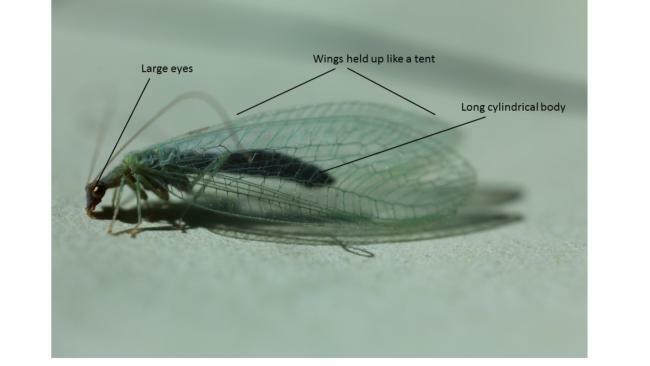 When resting, these wing cover the second set of wings, which are more delicate. Many of the insect sounds you hear at night are coming from insects in this Order. Grasshopper with open wings ("Titanacris Albipes Vol" by Didier Descouens. Licensed under CC BY-SA 3.0 via Commons - https://commons.wikimedia.org/wiki/File:Titanacris_Albipes_Vol.jpg#/media/File:Titanacris_Albipes_Vol.jpg.) Not all species have such brightly colored under wings. Juveniles and adults have large pincers on the end of their abdomen. They are slender bodied and have bead-like antennae. Their wings are short and only cover a fraction of their abdomen.